Superstar writer/artist Daniel Warren Johnson (Space Mullet) and colorist Mike Spicer will kick off a new arc in the dystopian epic this October from Image Comics and Skybound Entertainment. In EXTREMITY, an endless cycle of violence has taken an incredible toll on two cultures—and one family in particular. Thea was once a gifted artist, but in the wake of a brutal amputation, she became consumed by a thirst for revenge. In this seventh issue, Thea and her brother Rollo enter the Ancient Dark, where they are hunted by things that dare not live in the light above. 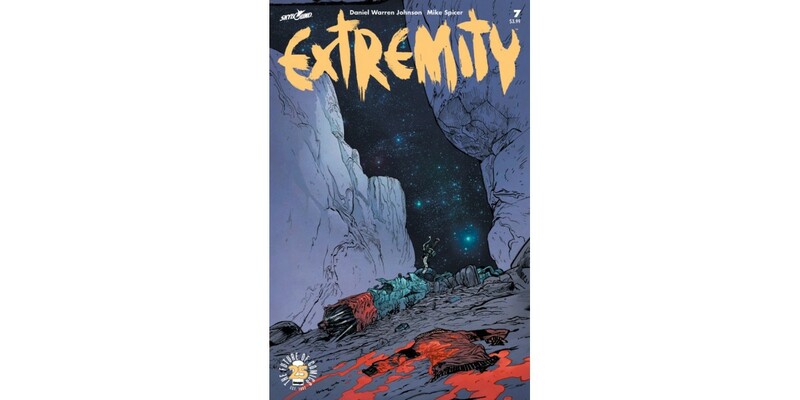 EXTREMITY #7 (Diamond code: AUG170649) arrives in comic shops Wednesday, October 4th. The final order cutoff deadline for comics retailers is Monday, September 11th.